Instead of a melodramatic opening, I’ll just say this: Gunpoint is really, really good. Created by PC Games writer Tom Francis, Gunpoint feels like a tribute to cyberpunk private detectives with all of the dry wit and hacking players expect. The game is twitchy, but at the same time it feels methodical. The game is funny, but at the same time it’s teeming with style. While the game is short, I’d say Gunpoint is one of the best examples of taking a simple mechanic and turning it into dynamic system that challenges players. Before we get into that, let me tell you a story. A girl, shot once at point blank range and again as she lay on the ground, died that night leaving unanswered questions hanging over the city. As a freelance detective, Conway will take almost any contract, but as the prime suspect in the murder he has to clear his name… or uncover the truth. Did I mention he can jump from building to building like Spider Man? Well, he’s certainly going to need all the help he can get in the next few hours. Gunpoint is short, but sweet. Throughout the story, Conway will have to make a few key decisions while talking to his clients. Using your own moral compass will help you determine where Conway’s loyalties lie. Is Rooke really on the up and up? Is there a grand conspiracy behind Selena’s death? What happens if I keep punching this guy? The game begs a few questions over its short life, but it never hits you over the head with melodramatic writing. In a way, the game reminds me of Nightshade for the NES. The little known title stared a witty private detective trapped in an explosive situation. With super villains, hijinx, and beating up old women… yes it has that, the game was filled with subtle humour, and so too is Gunpoint minus all of that other stuff. As a cyberpunk detective, Conway is able to hack into computer mainframes, bypass tough security, and take down any guards who get in his way, but like any protagonist he needs a special weapon. With the bullfrog suit, players are able to send Conway flying through the air. Using his jumping arcs, Conway can latch onto building to scale walls or launch right through glass panes and into security guards. 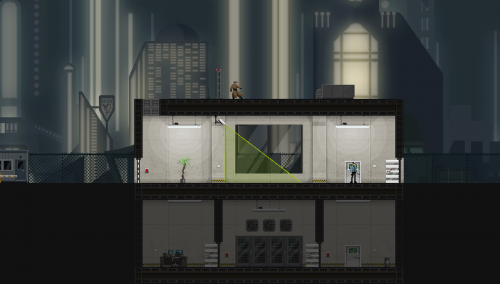 Leaping over tall buildings and latching onto walls gives Conway mobility, but it’s never really enough to get you through any single level. Guards are trigger happy with reflexes that can catch you midflight across the map. While the suit is a special weapon, Conway’s hacking is an equalizer. The hacking mechanics works by linking circuits through coloured lines. A light switch turns on a light, but when rewired that same switch can open a door or call an elevator. By using the mouse wheel, players are able to see a wired overlay of the mission. By rewiring, say, a motion sensing trigger with a door, a guard who passes under it will open a door for you. How you solve each level follows this formula, but things often go awry even with the best planning. An unforeseen guard, an alarm, or a window a little too strong for Conway to bash through can ruin even the greatest heists. The game really wants players to slow down and think about the best way into each room. How silent of an assassin you are is really up to you, but I found a little violence goes a long way to keeping Conway’s conscience clean. At the end of the game, players get a chance to write down his or her story in a diary. You can take a look at my blog here… I didn’t end up doing so well, but the game lets you start over from the beginning to get things right. The pace is swift, the action swifter, and the story is really over before it even begins. 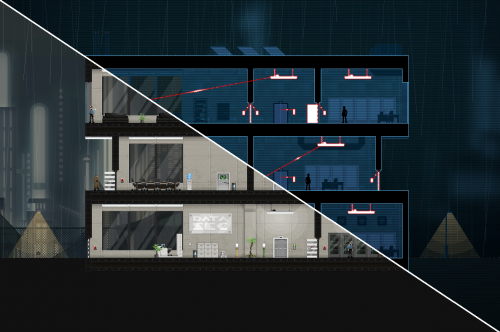 Gunpoint has a perfect mix of puzzles and twitch mechanics that keeps you going. While I’m always for melodramatic openings to these reviews, I found myself struggling to keep up with how cool the game plays the private detective story. In their fedoras and trench coats, the iconic detectors have fallen out a bit with what we see in most video games today. 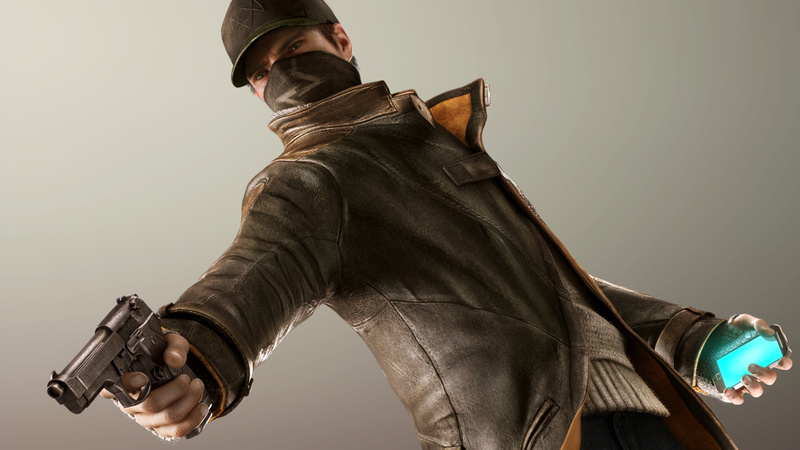 Most hackers look more like Aiden Pearce in Watch_Dogs rather than the almost cliché look of Conway in Gunpoint. But there’s something to be said in the game’s forward-thinking nostalgia with an awesome soundtrack to boot. 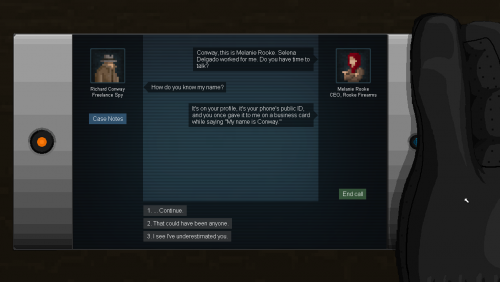 I’d encourage you to check out the game if only to make that childhood dream of being a private detective feel like a reality. This entry was posted in Gaming and tagged Gunpoint review, PC game review, sorry this is late, Steam game review, Video Game review. Bookmark the permalink.